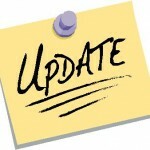 UFCW Local 328 » Support the Workers at Primark- Sign the Petition! We would like to urge all of our members to sign the petition in support of the workers at Primark in Boston. 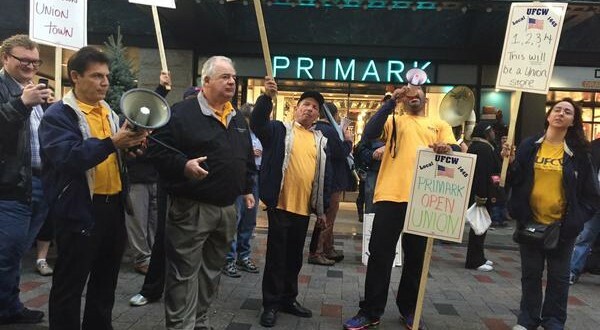 Primark is a company that negotiates union contracts with good wages and benefits in other countries, but is unwilling to do so with UFCW Local 1445 right here in Boston, Massachusetts. We need to send a clear message to Primark: Boston is a city that has a strong tradition of promoting jobs that provide good pay, benefits, protections, dignity and respect. 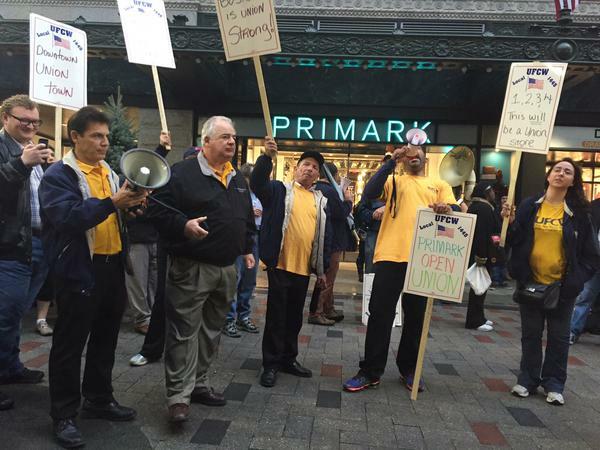 UFCW Local 1445 has a long history of helping provide employees at the Downtown Crossing site jobs with livable wages and adequate benefits and there is no reason that Primark shouldn’t sit down and negotiate. 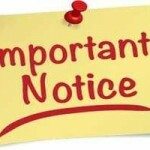 Sign the petition here, and you can watch a video of President Jeff Bollen speaking to the public below.